I have posted another installment of the Kalahari Series on the Notes from Africa photoblog. This one is Kalahari: Wilderness Camps II. 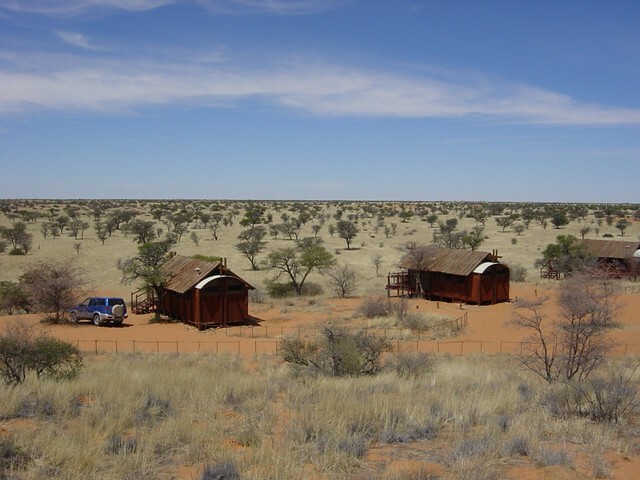 The most remote of the Kgalagadi wilderness camps are Gharagab and Bitterpan. Not only because of their location, but because they can only be reached by 4X4 tracks. Although 4X4 enthusiasts are bound to be disappointed. Except for some really long and steep sand dunes, the routes are not a challenge for an experienced off-road driver (like Willie). If you get motion sickness easily (like me! ), then the constant rocking motion for a couple of hours, will be plenty challenging enough! . . . . . . To read more click on the above link or on the photo!